ONE to air prime-time dramas within 24 hours from its premiere in South Korea! Singapore, 18 May 2015 – ONE, the number one Korean entertainment channel in Singaporet, is bringing the spirit of “PPALI-PPALI” (pronounced as ‘pah-li pah-li’) – the commonly-used Korean phrase meaning “quickly” – to the television screen. The PPALI-PPALI show time on ONE will begin this month, showing the latest, prime-time drama offerings from top South Korean broadcasting network Seoul Broadcasting System (SBS), within 24 hours of their original broadcast. The dramas will air with localised subtitles, to complete the drama-watching experience for viewers. To accommodate this exciting new development, the mini-series time-belt on ONE, which was originally from Mondays to Thursdays, will now be shifted to Tuesdays to Fridays, at 8.55pm/7.55pm (JKT). 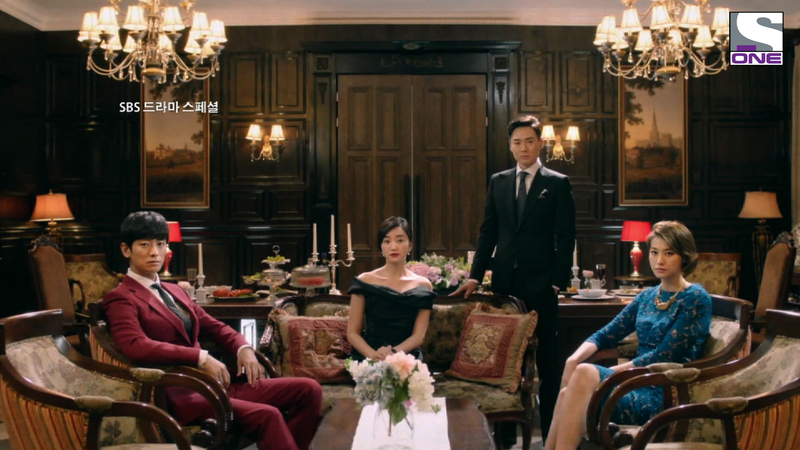 The PPALI-PPALI show time will kick off with Mask, a melodrama about a woman who assumes another’s identity and enters the elite “chaebol” (a family-owned industrial conglomerate) world. Standing out from the other aristocratic ladies, she captures the eye and eventually, the heart, of a charismatic but repressed young heir. Mask features a star-studded cast including veteran, international award-winning actress Soo Ae (King of Ambition), leading heartthrob Joo Ji Hoon and Hoya (My Lovely Girl), a member of Korean pop group INFINITE. Mask is set to premiere on 28 May, within 24 hours of its Korean telecast. New episodes will air every Thursday and Friday at 8.55pm/ 7.55pm (JKT), first and exclusively on ONE. Also airing soon on the PPALI-PPALI show time is True Romance, a heartwarming story about a young woman who – despite her luxurious, privileged background – decides to take on a part-time job at a food market so she can find a man who truly loves her. True Romance boasts a colourful ensemble of young Korean stars, including After School’s UEE, Sung Joon and ZE:A member Park Hyung Sik. True Romance will premiere on 9 June, within 24 hours of its Korean telecast. New episodes will air every Tuesday and Wednesday at 8.55pm/ 7.55pm (JKT), first and exclusively on ONE. “As the pioneer and the leading Korean entertainment channel in the region, ONE has always served up the best the industry has to offer, to the fans here. We are thrilled to be the first to bring, not 1 but 2 of the latest South Korean prime-time drama series to audiences within 24 hours of their airing, as part of our commitment to presenting fresh and top-rated content to our loyal viewers. The Korean wave is well and truly alive in Southeast Asia, and we believe the PPALI-PPALI show time will take it to the next level,” says Ms Virginia Lim, Vice President of Content & Marketing for Sony Pictures Television Networks, Asia. Country Cable Operator Channel No.